Hey friends! To start things off, I wanted to THANK YOU all so much for your kind comments here and on Instagram about my Joss and Main sale. You all have been so encouraging and supportive and happy to share in my excitement. If you didn't get a chance to view the sale yet, you can sign up here (it's free to join) to be able to check out my collection and other sale events. I think it has some really fun, unique pieces...even a headboard similar to the vintage one I just put in my daughter's room! My event will stay open until Tuesday. Today I'd like to share a project that I did to finish up my daughter's room makeover a few weeks ago. 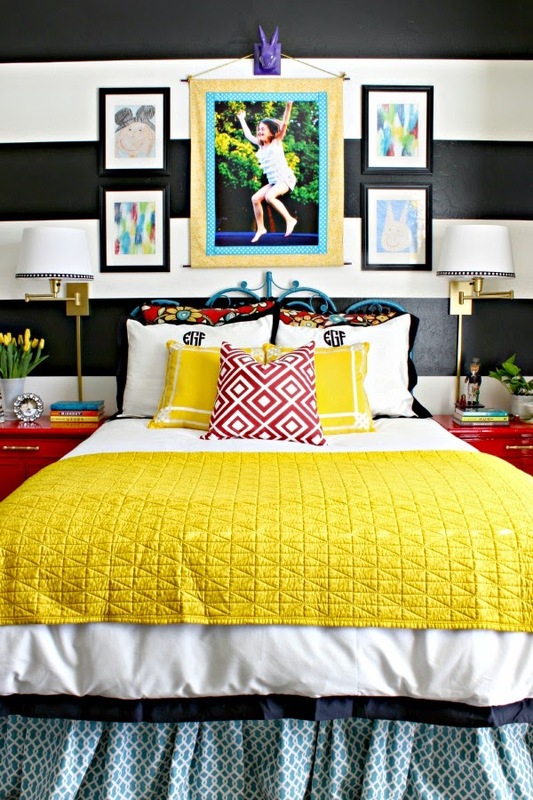 When I planned to make a few changes to her room, one of the things I wanted to address was the huge framed poster photo over her bed. I love the photo and the gallery wall, but safety-wise wasn't sure about that heavy glass frame hanging right over her head. I thought about printing the photo onto a canvas, but wanted something a bit more substantial than that. So, I decided to take the photo out of the frame and make a wall hanging out of it. However, I wanted to seal it somehow to protect it. I planned to mount the photo on a piece of fabric, but in order to give the photo a bit more stability I mounted it to to a piece of mat board cut to the same size. 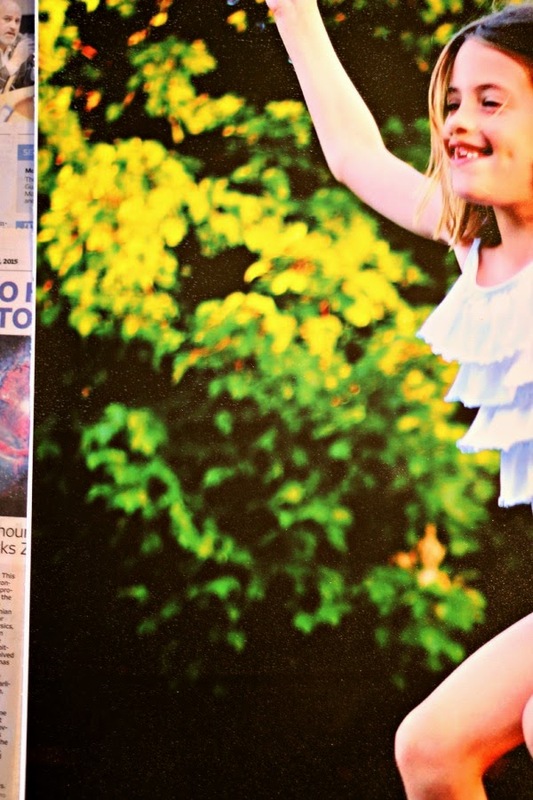 Then, to protect the photo, I used Mod Podge over the top. I used a mixture of Brush Stroke and Regular Mod Podge (about 1 to 1). The Brush Stroke is a bit thicker and gives a little more texture to the finished project. 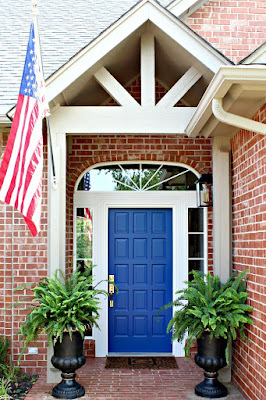 But, you could certainly use straight regular mod podge. After mixing my two glues together, I poured in it a smaller roller tray and used a foam roller to apply it right over the top of the photo. Once I spread a little glue on, I roll in one direction across the entire photo, working on a section at a time, making sure to get the glue all smoothed out without leaving any streaks from the edge of the roller. It will be cloudy and will look like there are lots of bubbles. It's ok! Everything will dry perfectly clear, although there will be a bit of texture. My glue was kind of old, so there were a few dried chunks when I rolled it out. I carefully removed those with my finger and rolled back over that spot. Pay special attention to make sure there are not pieces of fuzz anywhere, especially on faces, skin, and lighter spots. They will show up when it dries (lesson learned from a previous project). The glue dries quickly and I've found that one coat is sufficient for this project. I usually end up with extra glue, so I just keep that in a small rubbermaid container and it keeps perfectly well for the next project. Working with the wet glue did curl the ends of my photo/mat board up on the ends a little bit, so after about a day when it was good and dry I weighted it down with some books to flatten it back out. For the piece of fabric, I measured the finished size that I wanted , and then added 1" to each side and about 3" each to the top and bottom to allow for finished edges. 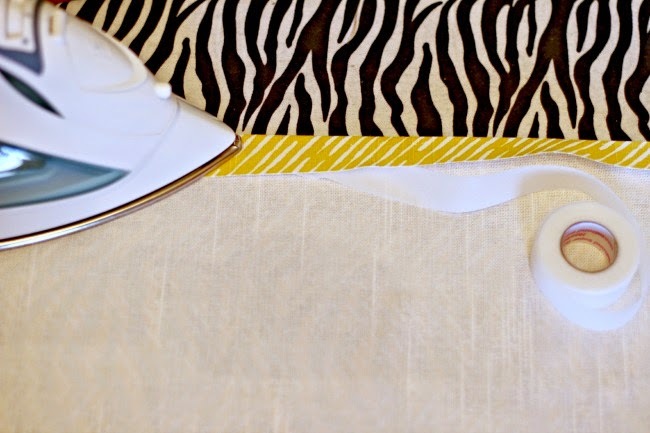 Along the sides, I used a strip of new-sew tape and just folded them under before pressing with an iron. Then, I folded the top and bottom under and hot glued them down, leaving an opening for a dowel rod to slide through. 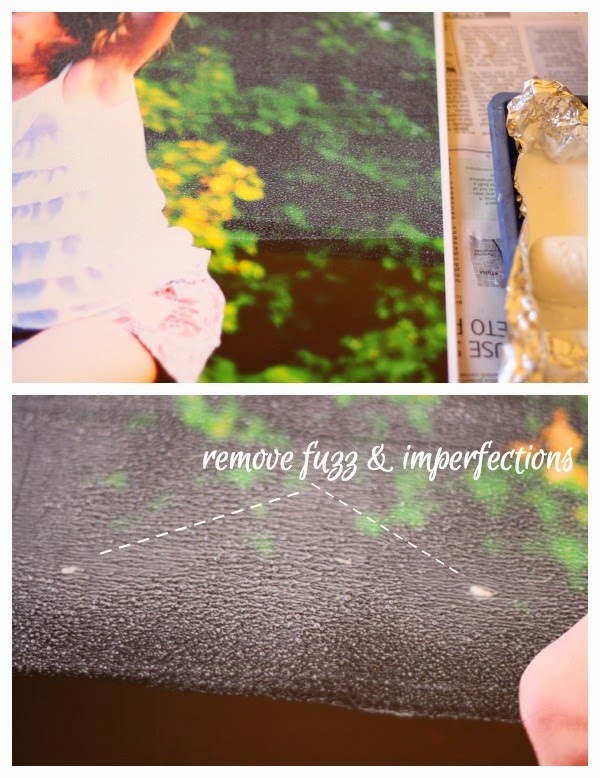 After the fabric edges were finished, I hot glued the photo board to it, making sure to center it carefully. Then, to clean up the edges and add a little more fun I glued on a ribbon border around the photo. 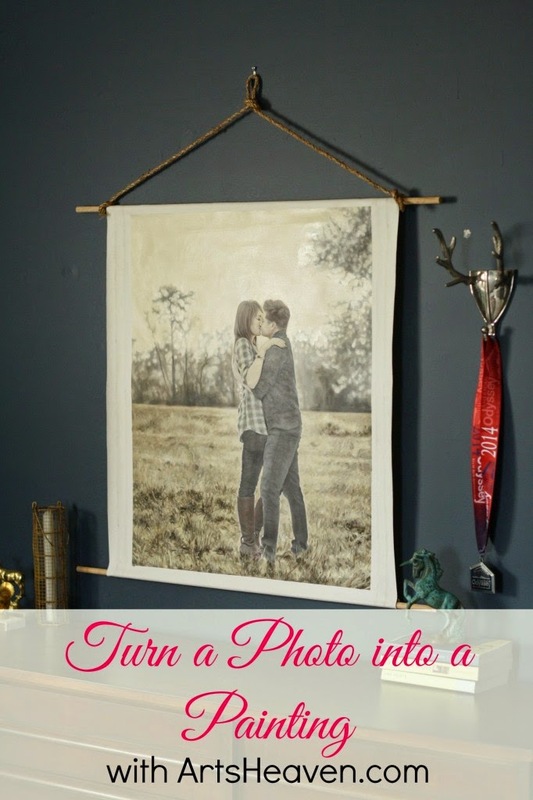 Add some string, jute, or ribbon to the top and it's ready to hang! The other pictures hung around it are two favorite pieces of artwork that she made several years ago, and two quick abstract paintings that I made. 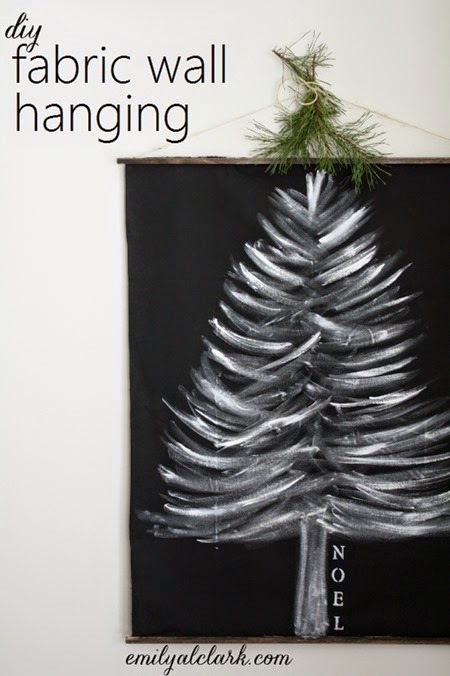 Here are two more hanging fabric art projects that I think you'll love to get your creative juices flowing! 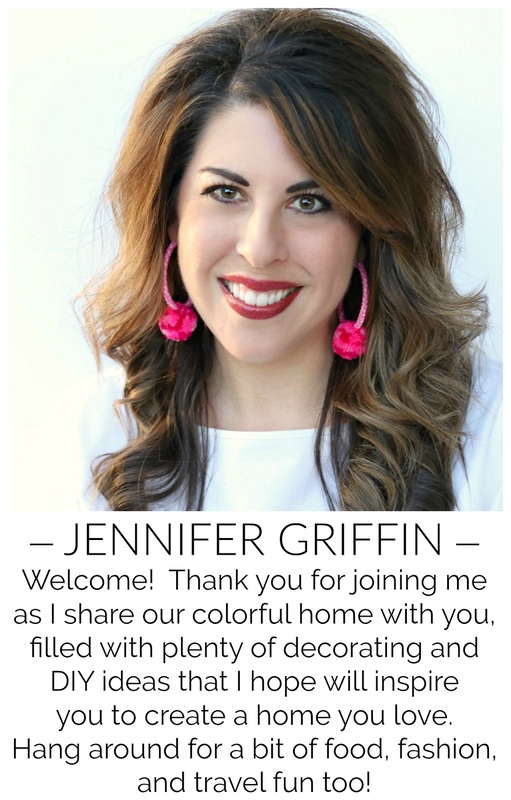 *See her full room reveal here for questions and sources. First, this is one beautiful photo! I love how natural and expressive it is. 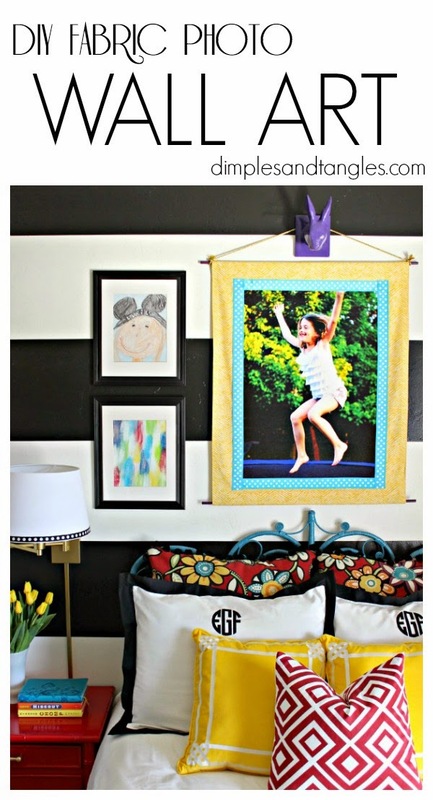 Thank you for sharing this DIY, great idea how to personalize art work. aaaw, thank you for the shout out! :) and i LOVE her room and art as you already know. she is a lucky girl! I love this photo and mounting it on fabric is so beautiful. It has so much more character than just a frame. Great tutorial also. What a great idea! Her room is so fun, I love it Jennifer. 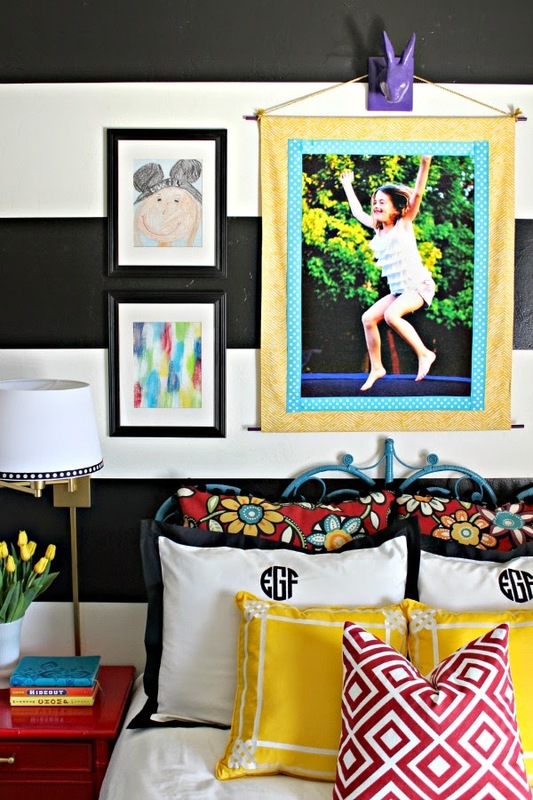 I've always loved that fun picture over your daughter's bed, so adorable and joyful! 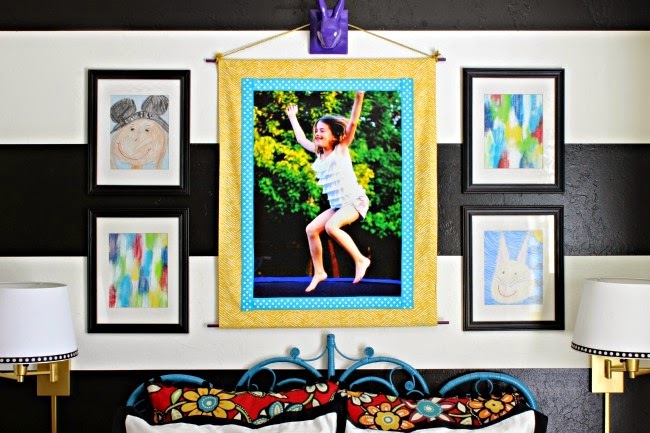 Great idea to ix nay a frame with glass, especially for little kids who might be jumping around in their room! Great idea! And photo is very unique:-)I lke it very, very much! 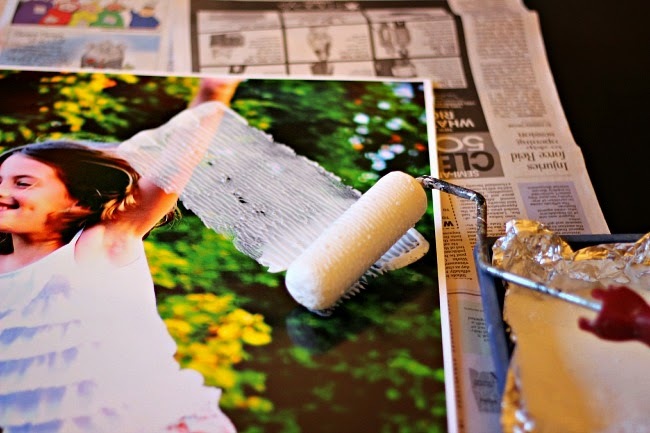 For making a change to your homes look wall art NZ is a very good choice. You can use various kind of beautiful arts and design as wall arts. I love to use high heels. For that now i face many problem in my feet. Main problem is pain. This kind of pain can be reduced by quality best foot massager my friend suggest me that.